Happy Bloggers Challenge Friday! Thanks to those who played along with the Mother's Day Challenge. The challenge this week is Buttons and Bows. 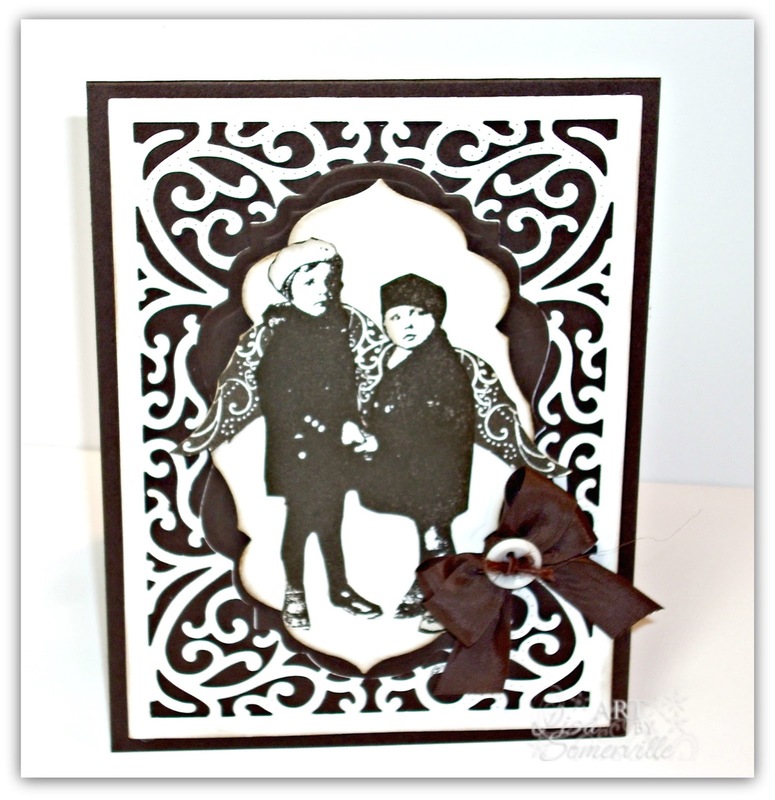 I created my card with stamps from Artistic Outpost and Our Daily Bread Designs, along with ODBD Custom Dies. The sweet children from the Artistic Outpost Think and Wonder plate are stamped in Espresso ink, then cut out and sponged. I used the "cut file" from Our Daily Bread Designs to cut the wings, then stamped the coordinating image from the Holy Angels set. I adhered the stamped panel to the die cut panel (ODBD Custom Antique Labels and Borders Die), then layered to the Espresso Die Cut Panel (Vintage Labels) and background die cut panel (Vintage Flourish Pattern). To embellish I added Vintage Brown Seam Binding and a button tied with twine. If you'd like to play along with this weeks Bloggers Challenge, please link back to this post on your blog and mention you created your card for the Bloggers Challenge Buttons and Bows Challenge. Please add your link using the Link Tool below, your link should be a direct link to your Bloggers Challenge Post, use your name as the Title. Please do not link to cards that were created prior to the challenge date. Entries not linking properly, or backlinked will be removed. If you have the captcha enabled on your blog, please consider turning it off, as it makes it so much easier to leave comments. So pretty! Love the elegant frame around the sweet image and the button and bow accent. The stamps and dies go together like they are meant for each other, love how this turned out! Love the angel wings, stunning piece.